How to cook frozen milkfish is so easy and less effort. 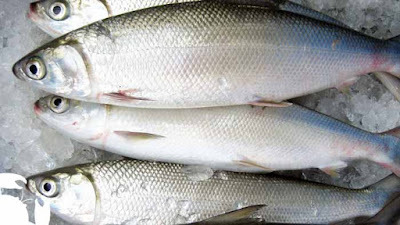 Frozen milkfish bangus is a ready to cook product that mostly found in grocery market. When buying frozen milkfish, you want to make sure that the fish is properly frozen with no visible freezer burn, no stinky odor, and limited amount of ice crystal. Freezer burn can cause discoloration on the fish as well as makes its texture drying. 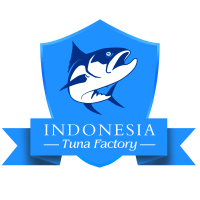 But, the nicest thing when you can found a great quality of frozen fish is that you can make certain recipes with them and milkfish with delicious taste and tender flesh is a great choice to have for healthy dish recipe. How to cook frozen milkfish at home? When cooking frozen milkfish, you may want to prepare your food thermometer so the fish not overcook. Cooking time for frozen fish need double preparation unlike fresh fish because you need to thaw them properly first before cooking it. Frozen fish actually a fresh that being frozen in certain temperature to prevent spoilage so you can use the fish anytime while fresh milkfish bangus need to be used within 2 days or less. 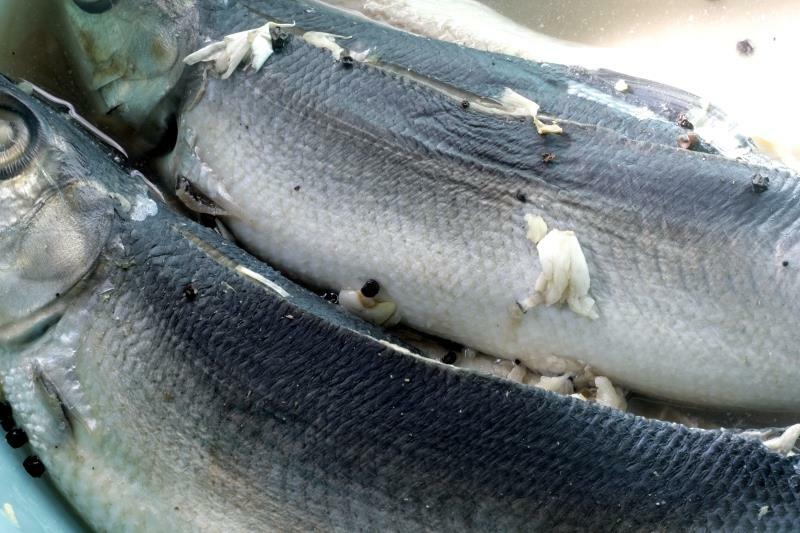 One of the best and easiest ways to prepare frozen milkfish bangus before cooking is with partial thawing process. 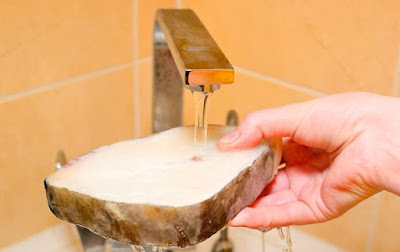 You just need to rinse the fish under cold water to get rid the ice crystal. This is an alternative if you do not want to wait the fish thaw overnight in refrigerator. After you are done thawing it, rub the fish with olive oil and then bake for 3 to 5 minutes. Remove the fish and marinate it with additional ingredients and herbs. Next, return the fish to the oven to bake it for 8 to 15 minutes until the flesh flaky all the way through. The fish usually absorb the seasonings best when you marinate it for 15 minutes. In addition, partial thawing process can be used as well when you want to fry the fish in oil. How to cook frozen milkfish in oil easily by cut them into thin sized and after that marinate the fish. Heat the oil and place the milkfish with the skin sticking on the frying pan. Fry the frozen milkfish bangus until it turns golden brown in color. You can serve the fish later with vegetable dishes. You can also try to stew the fish, once the milkfish is properly thawed cover it with seasoned flour. Use small amount of vegetable oil and cook the fish on both side until it brown. Drained off any liquid accumulated, add broth to small pan and then simmer the liquid and cover the pan with the milkfish bangus still in it. Cook with small heat until the fish looks tender. How to cook frozen milkfish with steaming process? First you should choose frozen milkfish fillet or whole round then place them on foil. Rub the bangus fish with vegetable oil, basil, mango salsa, lemon, or herbs. Wrap the fish with the foil and pre-heat the oven. Oven the milkfish for 8 to 15 minutes until it cooked. You can use oven or for simpler method, you can even microwave the milkfish. 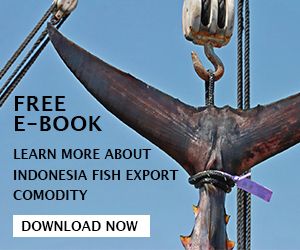 It is an excellent cooking method to cook frozen milkfish. You can add liquid or broth to the dish and the put the milkfish bangus in and cover with lid, cook the fish with microwave until you see the flesh turns flaky. 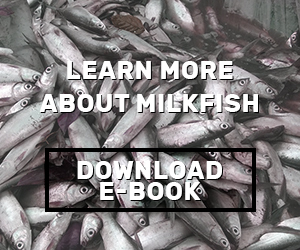 The last way to cook frozen milkfish is with poaching method. Make a mixture of water and vegetable broth, after that put the fish in it. Add extra seasonings with spices and then bring the fish to boil for few minutes. When you see the broth boiling, slowly reduce the heat, cover the pan with a lid and then let it simmer until the fish cooked and easily split with fork. 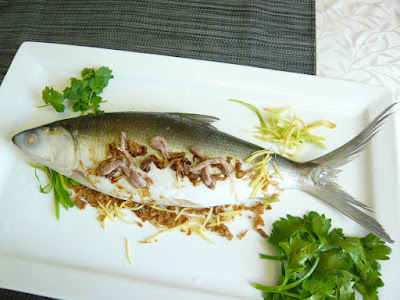 How to cook frozen milkfish is easy with those cooking methods, just choice the one according to your like.